The Royal Marine Forces Volunteer Reserve was formed in 1948 and was the forerunner of the Royal Marines Reserve, the title change to the latter taking place in 1966 . R.M.F.V.R. Sea Service Wing . Extract from Commando Association newsletter 32 issued March 1961. Marine Simeon Ferrante died four days after landing badly in a parachute training exercise. 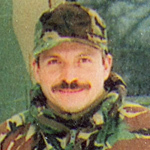 Simeon Ferrante enlisted in the Royal Marine Reserve Bristol on 12 November 1985. He joined a parachuting course for reservist soldiers and marines run by No. I Parachute Training School, RAF Brize Norton, from 30 July to 11 August 1989. 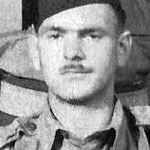 He was parachuting at RAF Weston-on-the-Green on 10 August when he landed badly. He died four days later. Marine Paul Fleming, RM Reserve Scotland, died in a traffic accident returning to Glasgow from a training course on Dartmoor. Also killed were Mne. Hardie and Mne. Martin. The East Devon Coroner ruled a verdict of accidental death. Marine John Hardie, RM Reserve Scotland, died in a traffic accident returning to Glasgow from a training course on Dartmoor. Also killed were Mne. Fleming and Mne. Martin. The East Devon Coroner ruled a verdict of accidental death. Marine Jason Martin, RM Reserve Scotland, died in a traffic accident returning to Glasgow from a training course on Dartmoor. Also killed were Mne. Hardie and Mne. Fleming. The East Devon Coroner ruled a verdict of accidental death. The Herald Scotland newspaper website 26 November1997. A/Lieutenant Colonel Mark McKinney, RM Reserve, received the Queen's Commendation for Valuable Service in recognition of gallant and distinguished service in Liberia in 2004. 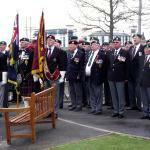 Marine Grant Tampen, RM Reserve City of London, died in a road traffic accident. Navy News issue July 1998, p28. Image credit: His sister Jacki Woodman.